Today, Pol Roger launch their new vintage champagne: Pol Roger Brut Vintage 2012. This latest vintage is the only one this century to rival the previous best, Brut Vintage 2002 and Brut Vintage 2008, in reputation. A Gold+ rated vintage, 2012 was an exceptional year. The season began unremarkably: a mild and dry winter with a cold snap in early February was followed by cool and rainy weather at the beginning of spring. The first noteworthy weather events arrived in April and May, during which Pol Roger reported five spells of frost and hail, two of which heavily damaged the vineyards, which led to significant variation in grape development. However, hot and sunny weather from late July all the way through to September facilitated excellent grape maturity, producing favourable acidity levels and perfectly healthy bunches at harvest. The damage caused in spring resulted in low yields, but the near-perfect climatic conditions during summer produced grapes of excellent health. The Pol Roger harvest lasted from 10th-26th September and the resulting crop showed a potential average alcohol content of 10.6° and a total acidity of 7.8 g/l. Despite only a handful of 2012 champagnes arriving on the market over the last year, the vintage has already been written about in glowing terms by champagne critics. In terms of quality, many believed it to be equal to, if not better than, the now legendary 2002 and 2008 vintages. 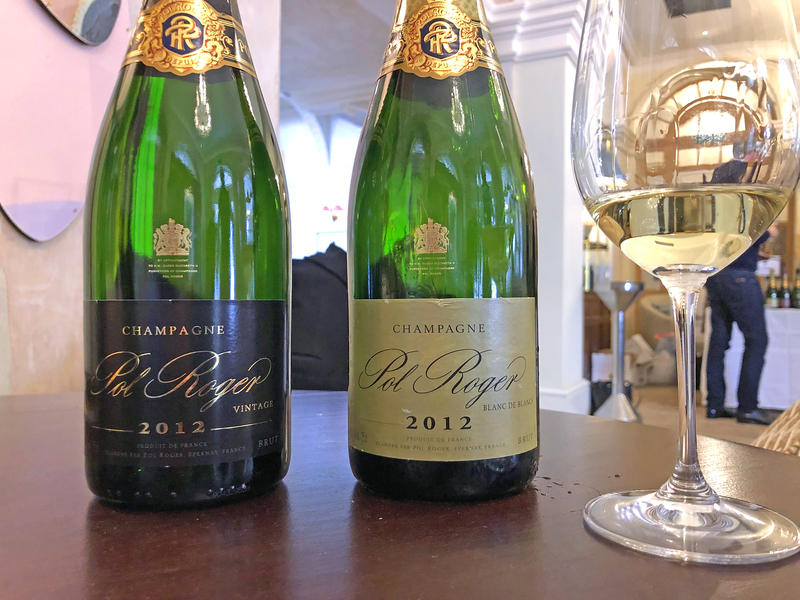 We tasted both Pol Roger Brut Vintage 2012 and the recently released Pol Roger Blanc de Blancs 2012 at the Pol Roger Portfolio Tasting in London. Both have an exceptional purity characteristic of the vintage, fresh and elegant with an abundance of ripe fruit flavour, perfectly balanced throughout with a light refreshing finish. Although very young, their potential is clear: sublime now and will age gracefully for many years to come. 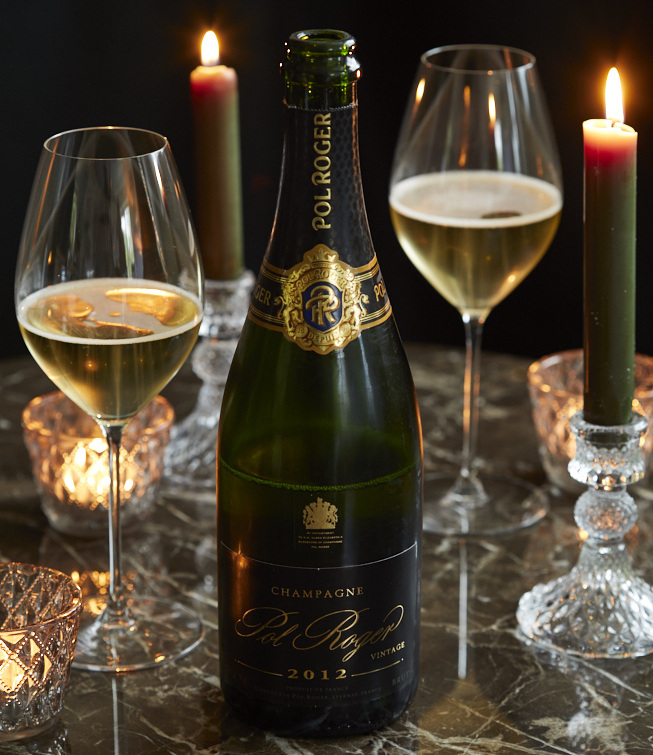 To celebrate the launch of Pol Roger Brut Vintage 2012, we have an exclusive release offer of £340.00 per 6*75cl case under bond (£428.60 including UK taxes) valid until Friday 12th April 2019. With such favourable reviews, we are anticipating keen interest and expect this small release, which will be under strict allocation, to sell out quickly. Showing plenty of fruit for a recently disgorged champagne, lots of ripe apple and pear and with purity to the fruit, the hallmark of many 2012s and 2008s. On the palate the ripe red apples come forward, ripe lemon and pear all wrapped around the lees texture that fills out the palate and with hints of spice and tropical notes from pineapple. The texture of the year shows, so the acidity is fresh yet perfectly balanced and finishes very clean with hints of chalk and salinity. At this young age we see the Chardonnay dominating the taste, with time we will see more of the Pinot Noir fruit coming forward. Straight away on opening a rich and ripe lemon freshness comes forward on the nose with bundles of ripe apples and with a slight spicy edge. The palate has loads of freshness, good balance of apples and lemon richness and the lees ageing broadens out the palate. Some chalky character and freshness from the acidity finishes clean with a hint of salinity. Tasting alongside the Pol Vintage 2012 I have a slight preference for the Blanc de Blancs – this is their best BdB since the fantastic 2002 release. Very forward with lots of ripe apples and hints of spice. The palate has a roundness of fruit ripeness and lemon freshness, some tropical notes like lychees and some pink grapefruit hints. Will Pol Roger Brut Vintage 2012 be even better than vintages 2002 and 2008?